California drought update: It’s still bad. How bad? 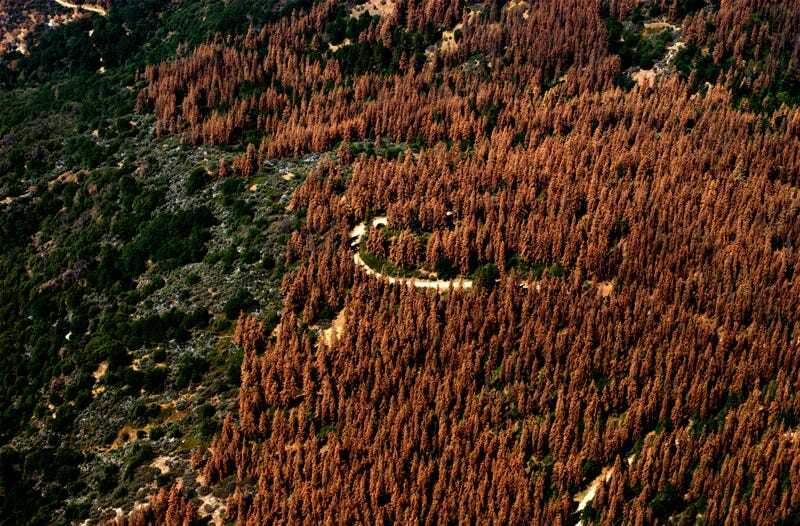 According to the U.S. Forest Service, 102 million goddamn trees have now died in the state since 2010, including 62 million trees in this year alone. Many say that getting the dead trees out of the forests is the answer. Officials have suggested turning the trees into lumber or burning them for electricity. Experts have suggested that having too much dead wood on the forest floor can actually damage the soil when wildfires do happen, since fires have too much fuel and therefore burn at very high temperatures. But some environmentalists have advocated for leaving the trees in the forests, saying it’s part of the life-cycle of a forest for dead wood to decompose and provide wildlife habitat on the forest floor. In a statement, Agriculture Secretary Tom Vilsack warned that the dead trees represented a threat to public safety.